Sold in bundles of 0 only. 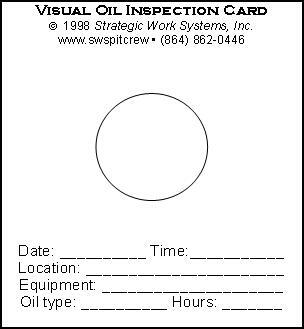 These cards provide a quick and easy way to determine the cleanliness of engine, compressor, and gear box lubricants. Handy spaces on the card help you track equipment history. Just place a drop of oil on the card, place it in the protective cover, and seal. Wait 15 minutes to see the amount of solids in the oil. 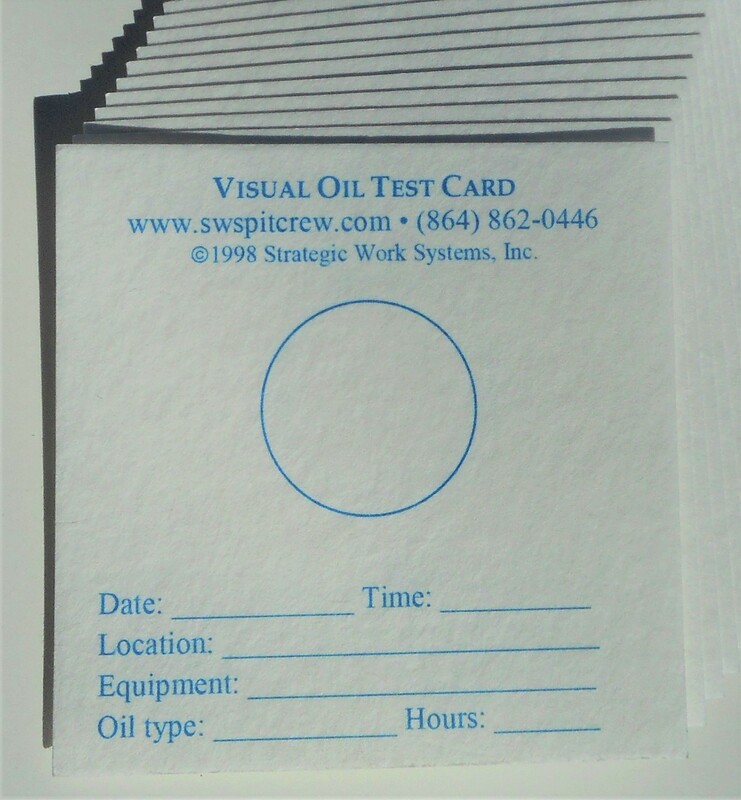 Note: The oil test cards will work with any fluid to show particulate, impurities, and contamination. This is a “visual” inspection card. It will not help with viscosity or additives. Products may be returned within five business days of receipt of order for a full refund minus the cost of shipping. Orders may be cancelled at any time prior to shipment.